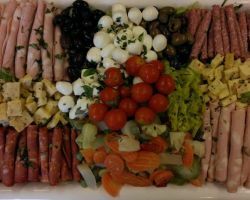 There is no match amongst local caterers for the Italian catering company, Mama Romano’s. They provide a fantastic range of choices that come at some of the lowest prices in the state. The chefs at this beloved restaurant are amazingly flexible and will be able to adjust their menu to fit any of your needs. This top quality service means you can have the authentic tastes of Italy at your wedding without any hassle or stress at all when you choose to hire Mama Romano’s. 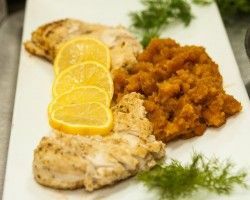 For over 16 years, River City Catering has been providing delicious cuisine to corporate events, parties, family gatherings and weddings throughout Orlando. Throughout this time they have collected together a staff who are culinary geniuses and can craft any kind of menu that you would like. While they are completely flexible they ensure that their food will always be the very best wedding catering you have ever tasted. For the couple that appreciates the gourmet difference, there is no better than River City Catering. 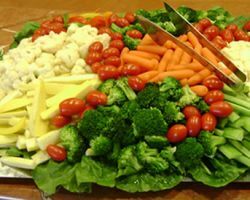 The reason that Vital Flair has become one of the most popular companies offering catering in Orlando, FL is due to their dedication to honest and straightforward delicious food. They make sure that all of their ingredients are of the highest quality and this provides couples with wholesome food that every guest will love. This Orlando catering service has grown and now has served a huge number of weddings; the success of each can be seen in the reviews filled with praise. 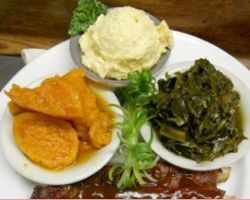 For a true Florida wedding there is no alternative to authentic Southern cuisine and that is exactly what Nikki’s Place provides. Including fried chicken, crawfish seafood bakes, mouth-watering BBQ or spicy Mexican food, this catering service provides many options. Each choice of menu brings the vibrancy of Southern cooking right to your event. While they never use cheap or poor quality ingredients, the prices are amazingly affordable and you will be surprised by what you can get for your money. 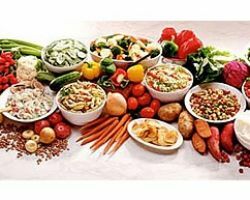 It is the sophistication and class of Cocktails Catering that makes all the difference between this one and other wedding catering companies in Orlando. Their chefs are involved in the process right down to the smallest detail, which ensures that every aspect of your wedding catering will be of the highest quality. They offer a flexible menu, which works perfectly for a light lunch right up to a full-service meal or even an array of party platters. Whatever you would like Cocktails Catering to serve they will make it happen.